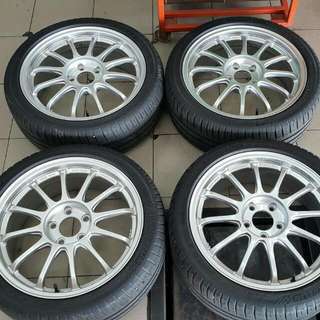 M One Tyres & Motorsports New/used Japan, Italy, Germany, Taiwan and Thailand made imported sport rims! Car servicing, maintenance and repair. Proton, Perodua, Toyota, Honda, Nissan, Kia, Hyundai, etc. 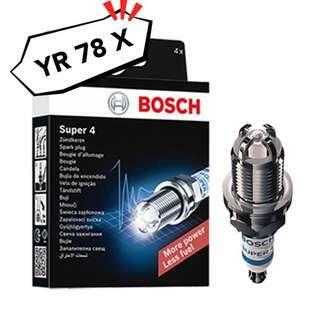 Genuine BOSCH Super 4 Performance Spark plugs YR 78 X! More power! Less fuel! 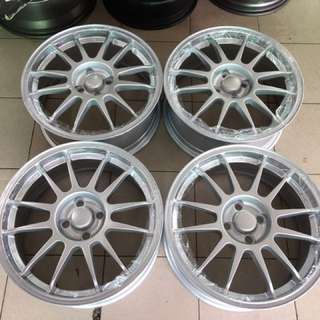 Suitable for Perodua Myvi 1.3 1.5 ‘11-‘17, Alza 1.5, etc. 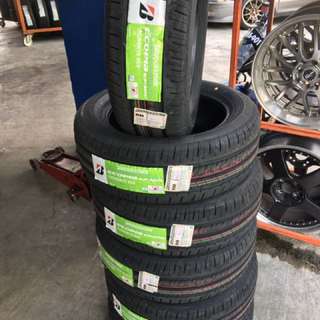 195/55/15 Bridgestone Ecopia EP300 brand new tire! Made in Thailand! Limited stocks available! 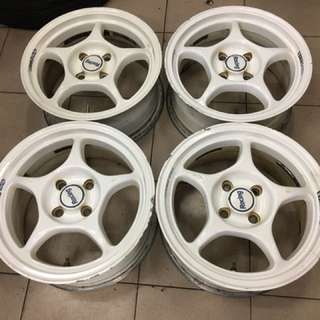 M ONE TYRES & MOTORSPORTS. 25, Jalan Setia 3/2, Taman Setia Indah, 81100 JB, Johor. 0193104394 Jesmond. Call / SMS / WhatsApp / WeChat. 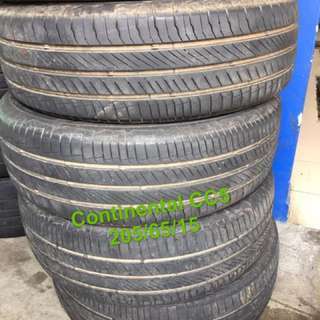 Good condition Continental CC5 used tyres. 80-90% thread. RM85/pc. 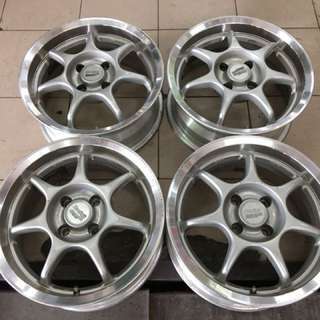 RM320 for set of 4pcs. GST exclude. M ONE TYRES & MOTORSPORTS. 25, Jalan Setia 3/2, Taman Setia Indah, 81100 JB, Johor. 0193104394 Jesmond. Call / SMS / WhatsApp / WeChat. Tq. RECON, 100% genuine OZ Racing Superleggera light weight sport rim. Made in ITALY. Fully reconditioned, as good as NEW! 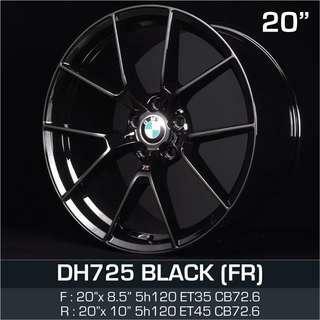 Size: 17x7J Offset: +37 PCD: 4x100 M ONE TYRES & MOTORSPORTS. 25, Jalan Setia 3/2, Taman Setia Indah, 81100 JB, Johor. 0193104394 Jesmond. 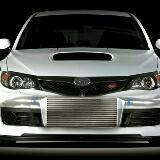 Call / SMS / WhatsApp / WeChat. 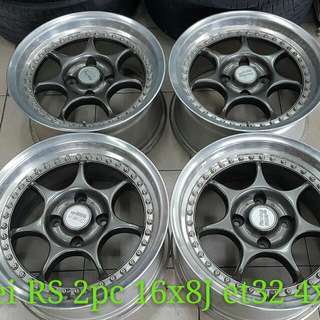 Spec:16x8J Offset: +32. PCD: 4x114.3. Color: Gunmetal with polished lips Condition: 8.5/10, tip top! 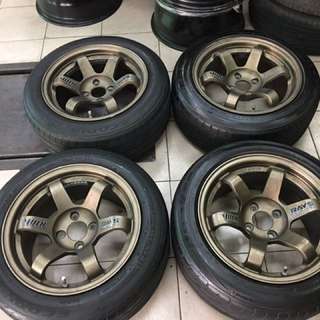 Selling rims only, without tires. 0193104394 WhatsApp / WeChat preferred. No PM pls! Tq. 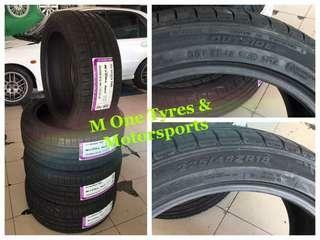 M One Tyres & Motorsports. 25, Jalan Setia 3/2, Taman Setia Indah, 81100 JB, Johor.